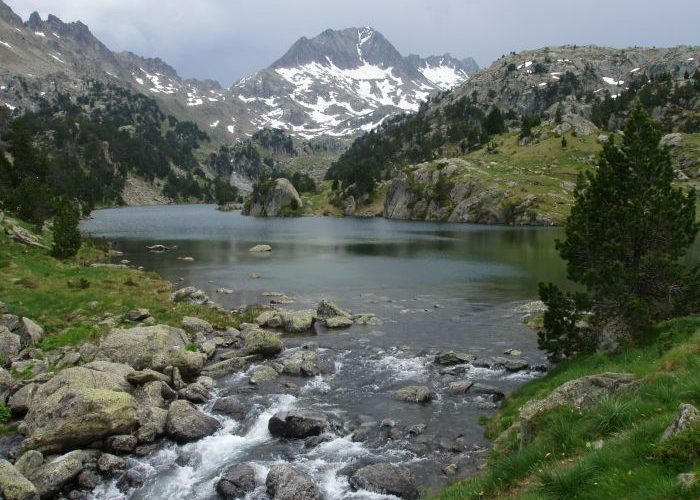 The spectacular Pyrenees Mountains, which form the border between France and Spain, are less developed and altogether wilder than their better known bigger brother, the Alps. Authentic and unforgettable experiences are not hard to come by in these mountains and foothills where culture, tradition and a profound respect for nature and the environment run through the veins of the local folk. This is a place where, come summer or winter, memorable adventures are made. 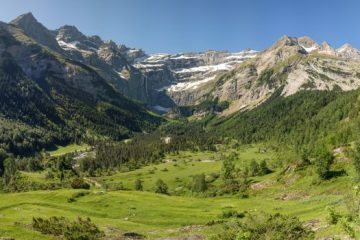 With that in mind, we teamed up with Undiscovered Pyrenees to highlight some of the best things to do in the Pyrenees Mountains. The Pyrenean brown bear became extinct in the mid 1990s but over the past 20 years, bears from Slovenia have been reintroduced on both the French and Spanish sides of the mountains. 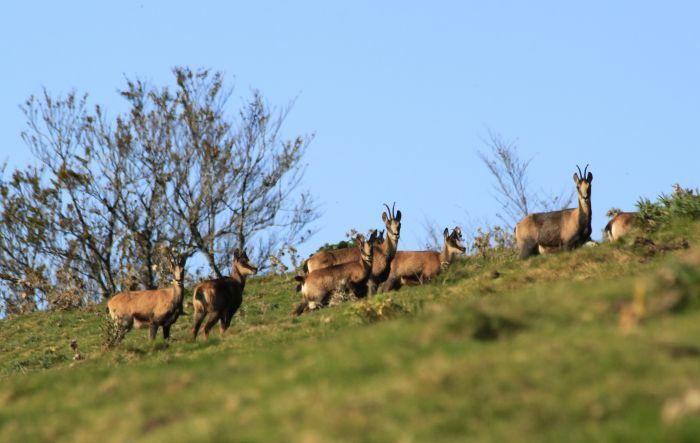 Today, a healthy breeding population inhabits the wooded hillsides of the central French Pyrenees. Exploring the habitat of this shy and elusive creature, your senses will be on high alert. Selected local guides know just where to go to discover their rubbing posts and their footprints, captured in the soft ground. Off the beaten track in an unspoiled environment, away from the marked footpaths, this is the habitat not only of the brown bear but also of the agile Pyrenean chamois and the threatened lammergeier. In these parts, nature is king. If you’re quiet and mindful, it may be prepared to share its treasures with you. The black Merens and the bay Castillon horses are both native to the Ariege Pyrenees. They are sure-footed and good-natured beasts, well accustomed to the mountainous terrain. 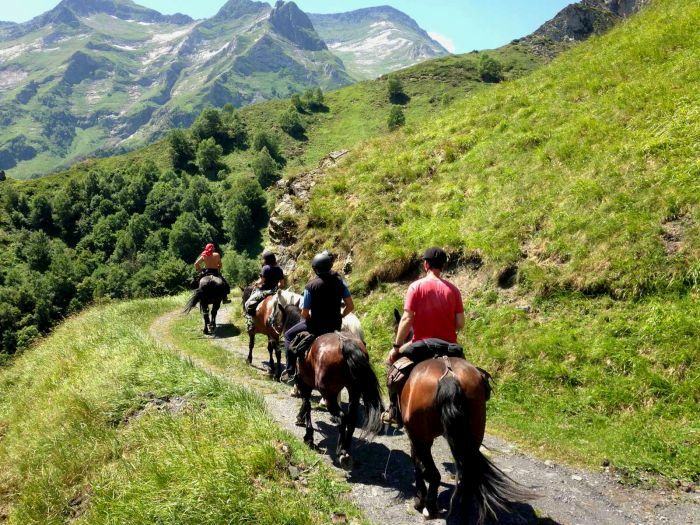 On a multi-day trek they transport the horse enthusiast up into the wild and pristine environment of the high mountains, where eagles and vultures occupy the skies and chamois and ibex scamper along the rocky ridgelines. Stop for the night and bivvy out under the stars, the spectacular peaks of the Pyrenees silhouetted by the moonlight. Or stay in a guarded mountain refuge and tuck into home cooked traditional dishes washed down with homemade cordials. As far as authentic mountain experiences go, this has to be one of the best. 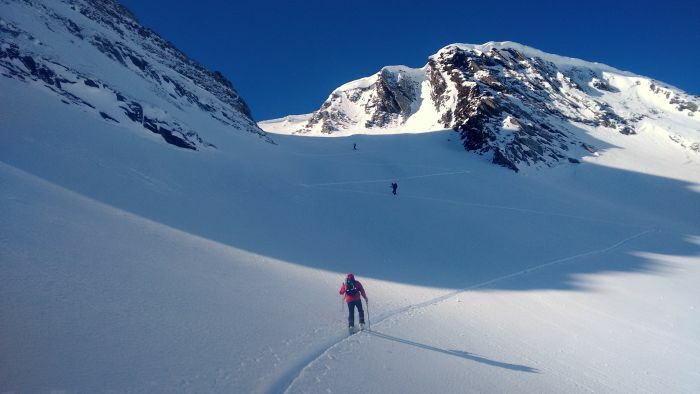 Leave behind the busy ski resorts and crowded lifts this winter and head into the Pyrenees Mountains on a ski touring or ski mountaineering adventure. The local guides know the best and the safest spots where you can experience the ultimate in physical and mental challenges in the mountains. The skins that you affix to your skis enable you to ascend snowy slopes and explore a winter wilderness of breathtaking beauty. After the effort of the ascent comes the thrill of the descent. Gentle gradient fresh powder slopes or narrow, technical gulleys demanding all the concentration and skill you can muster. The choice is yours. Numerous rivers and gorges run down from the 3,000m peaks that are concentrated in the central French Pyrenees. In the hot summer months they provide a natural playground, a fun way to escape the heat of the day. But in the winter they provide an altogether different and adrenaline fuelled environment for the more adventurous spirit. This is winter canyoning. 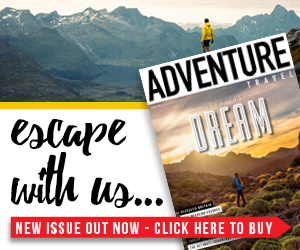 Pull on a neoprene drysuit and jump into the melt water, abseil down ice-covered waterfalls and slide down natural toboggans into deep snow-lined pools. 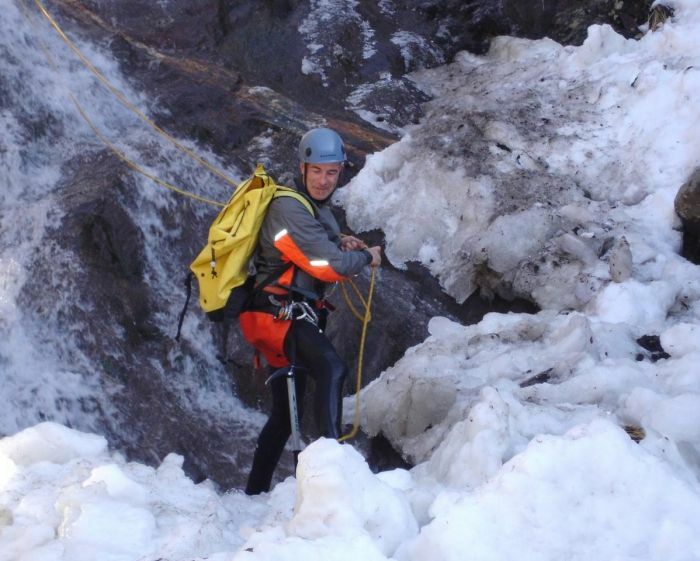 Winter canyoning is one of those alternative winter adventure sports that you should try at least once in a lifetime. But are you brave enough? 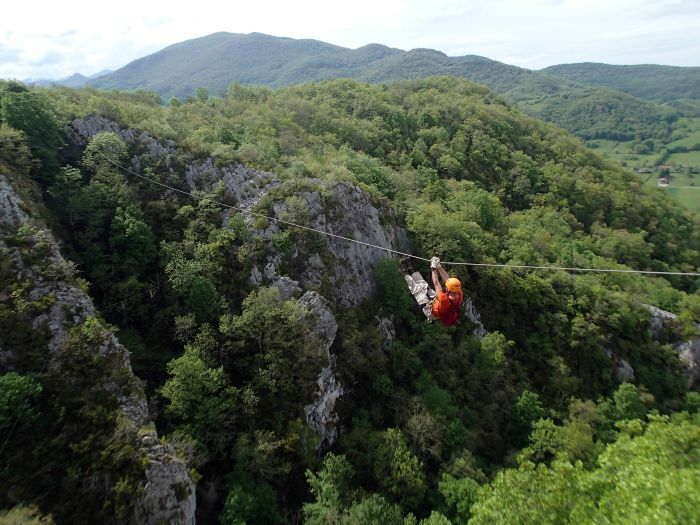 There are so many adventures to be had in the Pyrenees, it can be hard to choose which sports to do during your precious holiday time. So why not mix and match? In summer, take the teens on a high ropes experience and challenge your own head for heights at the same time. Take a break with your mates and go rock climbing, rafting or mountain biking. In winter, treat yourself to a winter adventure holiday and try snow shoeing, ski touring, ice climbing and airboarding. Why limit yourself when you can do it all! 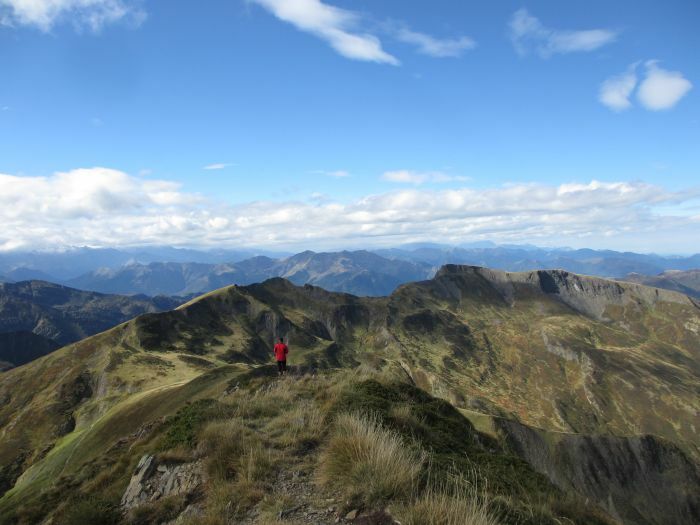 Undiscovered Pyrenees tailor makes year round adventure and activity holidays in the French Pyrenees Mountains. Their multi activity holidays are fully flexible thanks to their unique points system enabling travellers to pick and choose what activities they wish to experience after paying a fixed price for the holiday. Find out more here.